The company, like other similar online panels, enables its large member base to fill up and complete surveys at their will. I will go through several aspects here on how Opinion Outpost works. First you can sign up with the link to their site in the above section, you will be asked for your personal information while you’re signing up. This is to provide them with details about yourself to make sure they send you surveys you qualify for. Once you have set up your account, you can start receiving surveys and as you complete them, you’ll earn points in your account balance. Each Opinion Outpost point translates to 10 cents so you’ll need 10 points for $1 worth of real rewards. However, there is a minimum of 100 points before you can redeem your points for cash but there is no minimum for other rewards. Therefore, the smallest payout will be $10 if you want to choose the cash option which is always a plus and not too high of a minimum. 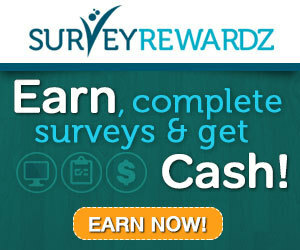 From what I can see, real users are saying they make about $1.20 – $2.50 an hour on there depending of course what you qualify for and how long each survey takes. I see some surveys that are only worth 30 cents for 15 – 20 mins of your time, that’s pretty low if you ask me but to each their own. 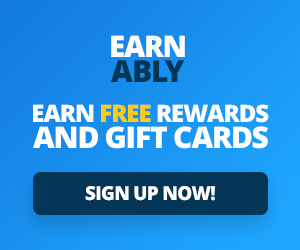 They also have a referral program where you can invite others to join the site with the custom referral link they give you. If you can get people to sign up to Opinion Outpost, you will earn $1 for reach referral. Payment processing is among the fastest in the market. Users who choose to receive payments via PayPal or their Amazon gift cards have their transactions processing right away with little delay. Many users have mentioned how the entire process takes a matter of minutes from clicking the redeem button to checking their account balances on PayPal or Amazon. This is further reinforced by the fact that the industry standard across other websites is usually in the range of 4-6 weeks to receive payment and cash out members’ balances. The redemption rate – at a mere $5 or 50 points for Amazon and $10 for PayPal – is among the lowest in the market. It does not take very long to reach the minimum amount which can be cashed out promptly, especially when transacting using PayPal or Amazon accounts. Some users have complained about how mid-way through survey taking, their progress suddenly freezes out causing all the data (and therefore survey points) to be erased. Along similar lines, others have reported of how their survey taking was not credited even after contacting customer support. Some people have protested how their accounts were unfairly and unethically revoked on the pretense that they violated the panel’s terms and conditions (non-compliance). After trying to contact them to find the exact reason behind the termination, all they received were robotic and standard responses. Though the panel does not have as many qualified surveys as other sites like Global Test Market, some users have complained how they were screened out while in the middle of taking surveys. It can take as long as 5-10 minutes before Opinion Outpost lets the user know that he no longer qualifies – which can cause a potentially big waste of time in exchange for a paltry consolation points award. Previous articleAbout Global Test Market How much do you know?